The time to place basketball bets on the Elite Eight is finally here as the Sweet Sixteen round finishes up this Friday. Things will get kicked off this Saturday with a couple of matchups, one of which being the Florida State vs. Michigan basketball pairing. Let’ stake a look at what kind of turnout the 8 team parlay odds are predicting for this Elite Eight matchup. The Seminoles have been pegged as an underdog in every round of this year’s tournament. So seeing them being listed as an underdog comes as no surprise. However, FSU has proven, several times now, that they can ball with the best of them. Firstly, the Seminoles defeated Mizzou 67-54 in the First Round of the tournament. Secondly, they took out No. 1-seeded Xavier defiantly 75-70. Thirdly, they defeated the Zags 75-60 in the Sweet Sixteen round. But what’s most surprising about Florida State is not just that they’re upsetting top-tier teams, it’s how they’re doing it. 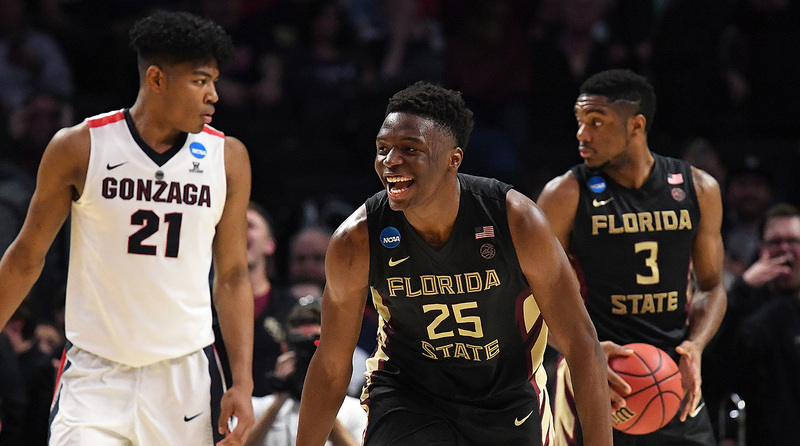 Instead of pulling off miraculous buzzer beaters or maintaining a slight lead near the end of the game, the Seminoles are dominating from start to finish. Players to Watch: Terance Mann (12.9 ppg, 5.5 rpg, 2.6 apg), Phil Cofer (12.7 ppg, 4.9 rpg, 0.8 apg) and Braian Angola (12.7 ppg, 3.9 rpg, 3.0 apg). So far in this year’s NCAA Tournament, the Wolverines have been practically unchallenged. In the First Round, Michigan delivered a massive 61-47 beating to Montana. Afterwards, they scraped past Houston 64-63. 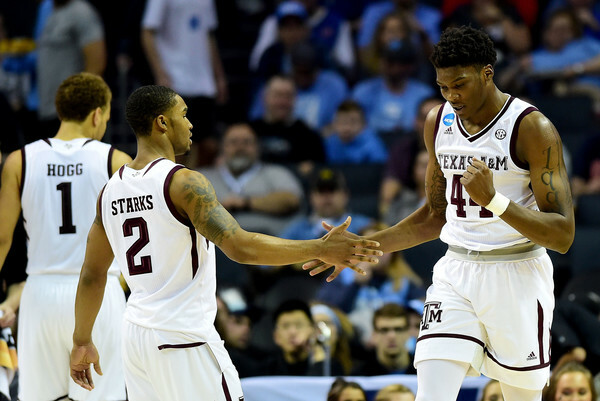 But in the Sweet Sixteen round, the Wolverines returned to their lopsided ways, beating Texas A&M 99-72. Now Michigan will be looking to deliver another defiant finish against FSU this March Madness betting weekend. Players to Watch: Moritz Wagner (14.4 ppg, 6.9 rpg, 0.8 apg), Charles Matthews (12.9 ppg, 5.6 rpg, 2.5 apg), and Muhammad-Ali Abdur-Rahkman (12.9 ppg, 3.9 rpg, 3.4 apg). So what kind of basketball bets should players make on this Florida State vs. Michigan basketball pairing? The odds aren’t predicting an up-for-grabs matchup. Instead, opting to peg the Wolverines as a definite favorite. And while FSU has had a historic run, Michigan’s superior defense should put a cork in their NCAA run. Ultimately, bettors should stick with the Wolverines in this one. Sign up now to make this March Madness prediction! Score Prediction: 75-74 Michigan. The Wolverines manage to hold off the Seminoles but fail to cover the spread. The TOTAL will be OVER.